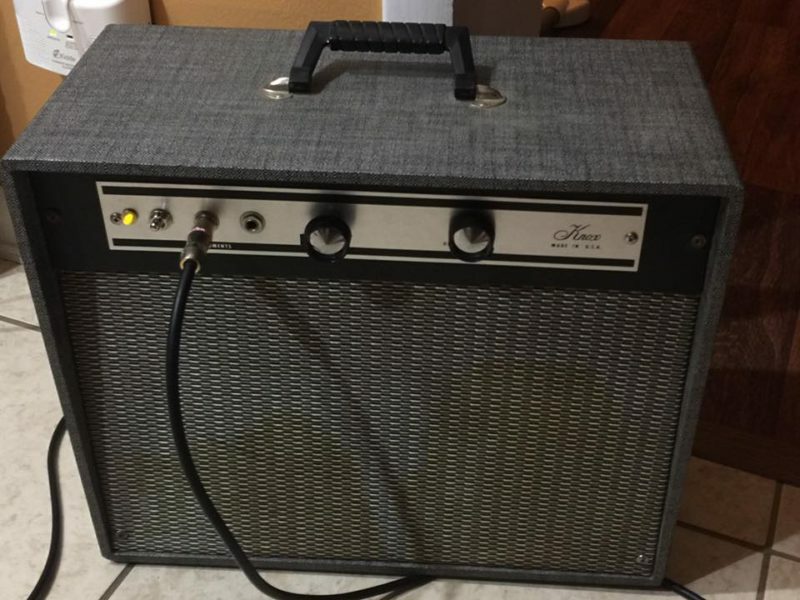 For sale is a really cool 1961 Know 1x8 combo that was originally a Widow Maker circuit. I had a circuit and transformers from a Fender Pro Jr, which I transplanted in the Knox. Nothing special, and kind of thrown together out of boredom, but it sound phenomenal and looks even better!